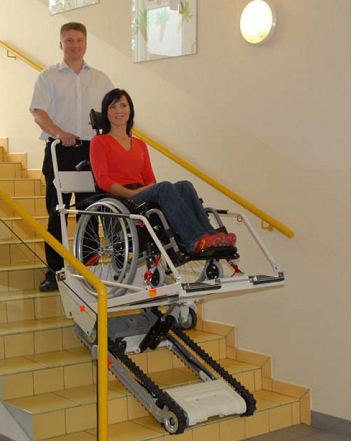 The Evac Skate is an evacuation device used to move people with a disability or injury down stairways quickly and safely during an emergency. 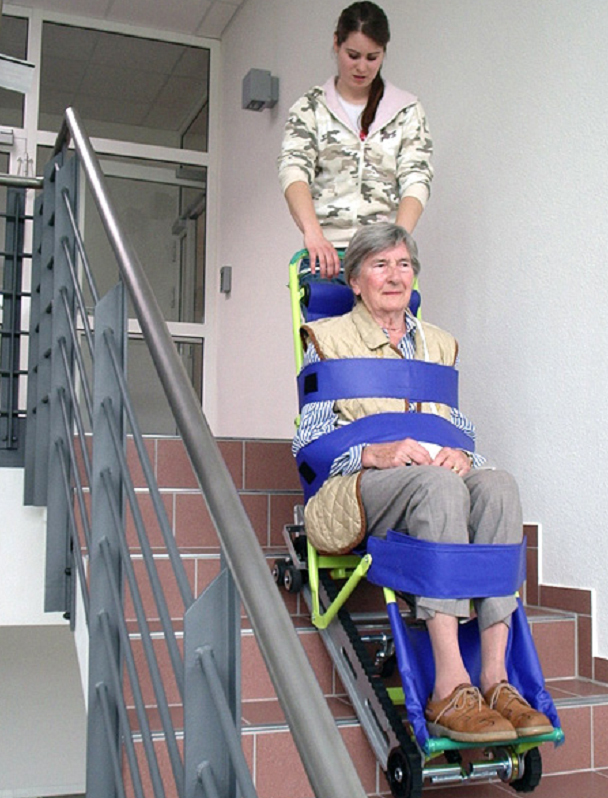 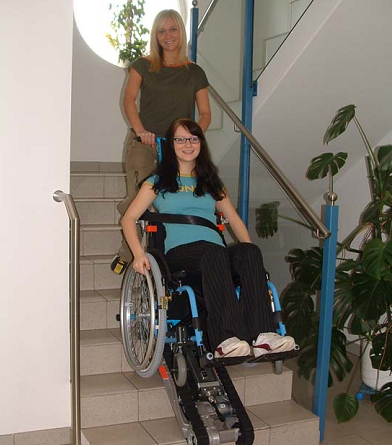 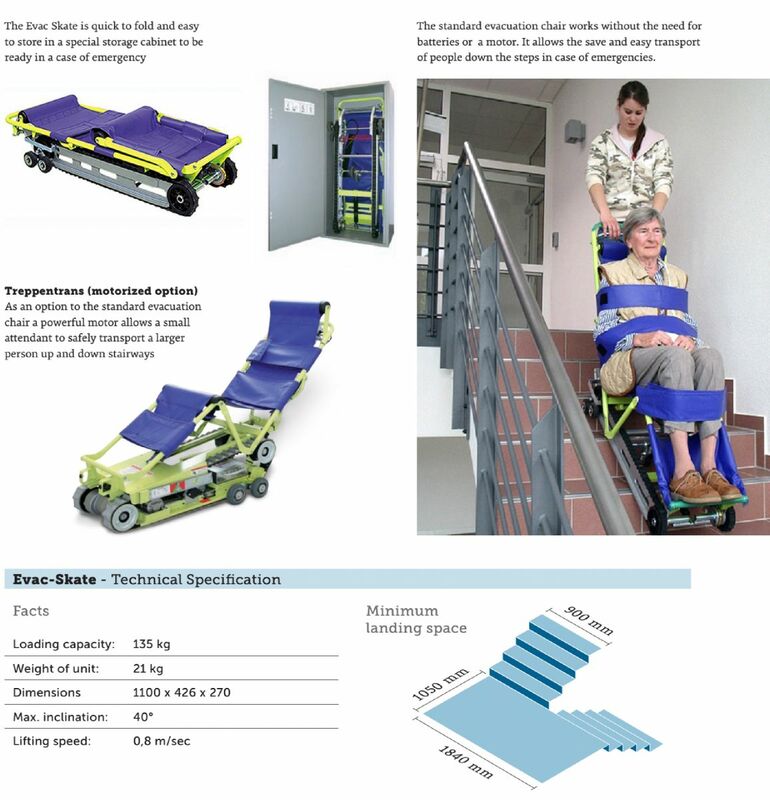 It’s patented speed governor and braking system allows a small attendant to easily evacuate a larger passenger. 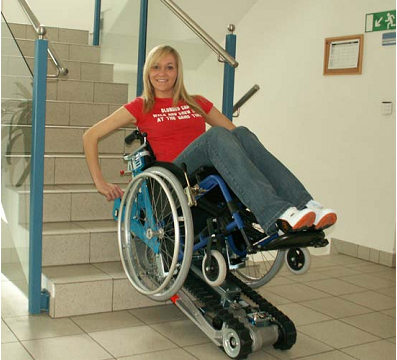 The tracks grip the stairs, regardless of the stair construction material.